NOTE: This app is for DEMO ONLY. Twitter services are disabled! 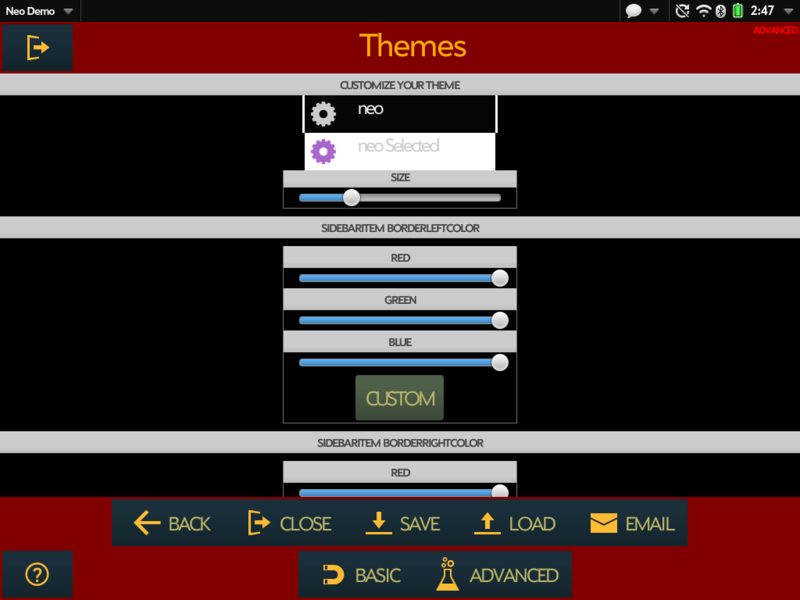 However, you CAN customize themes, and it's VERY fun ;). 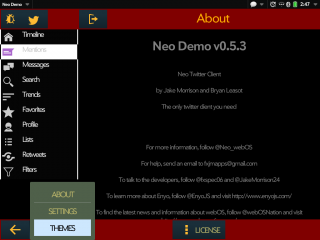 This app is also a GREAT Enyo 2 demo as well. 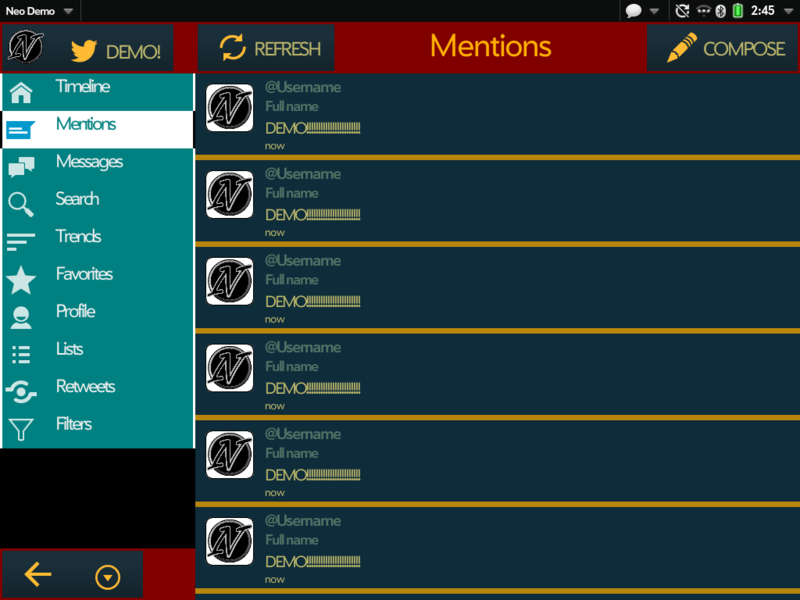 The world's first fully customizable twitter client! Neo allows you to customize EVERYTHING. 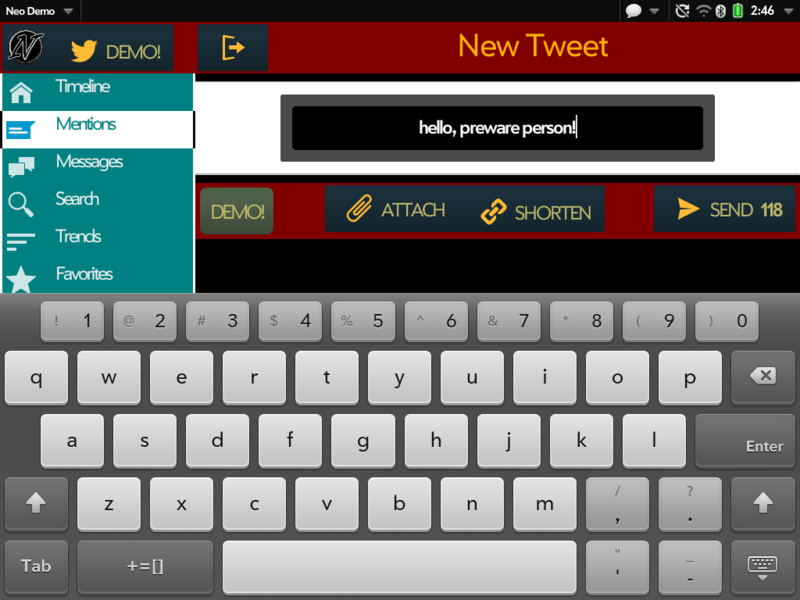 From tweets, toolbars, buttons, colors, font sizes, borders.. anything you see you can change! The level of customization allowed in Neo is UNMATCHED. 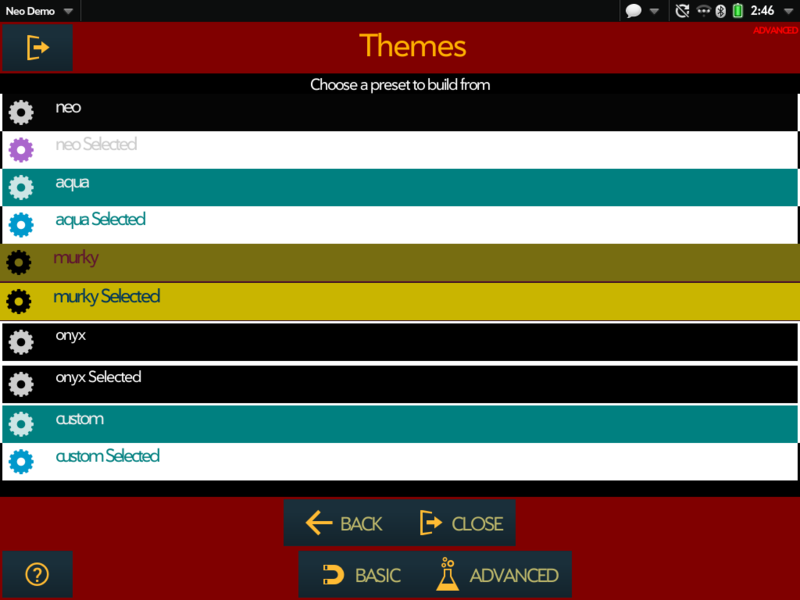 Choose from preset themes (more coming), or build your own, save them, and then build some more. It doesn't matter how you do it, the point is you CAN! And it's all thanks to the power of EnyoJS. Neo's other features include autocomplete, filters, list viewing, and trends, not to mention collapsing sidebars, auto-coloring icons, and over 10 billion different style combinations meaning everybody's Neo will look completely different. The standard twitter views are all there: retweets, favs, mentions, messages all remain.. and you can view user profiles as well as conversations. If you're looking for the right twitter client -- look no further! Neo is the perfect match! So buy Neo today and get to customizing! PS: It's more fun than it looks.